Start by creating a User ID and Password then follow the prompts to file an application. NOTE: This system/site is horribly slow and oftentimes doesn’t work. It isn’t the most up-to-date technologically speaking so don’t start this process until you have a few minutes to spare. The application itself asks for some basic information: name, passport info, address, date of birth, citizenship status, etc. The more detailed questions ask about: any criminal convictions (including DUIs), any customs violations, the list of all countries you have traveled to in the last 5 years. I was a little nervous out about how to answer the last question since I had just traveled to Cuba a few months prior and I thought that may red flag my application. However, it is important to be honest in your answers as they do require you bring your passport in for the interview (more on that below) and they do run a background check. The application took me about 5 minutes to complete. Next, you wait until your application is conditionally approved. For me, it took approximately 9 days. They say that you should keep logging onto the GOES system to check your status but they ended up sending me an email after 9 days titled “PROD-GOES – Account Status Change”. Once you receive that email, log back into your GOES account and click the link for your Conditional Approval Letter. You will need to print this to bring this with you to your in-person interview. Again, be patient with the system. It took me several attempts to get through to this page. After printing your Conditional Approval Letter, click the link to schedule an appointment for your interview. Then select the region you are located in (“Far West” for all of us in California). Sadly, there are very few interview location options unlike the TSA interview locations. For example, for the greater Los Angeles area, your choice is restricted to LAX International Terminal or Long Beach Port. Now, this is where the extreme frustration with the system may set in. You may be lucky like me and actually get a date the very next week. However, if you do, do not expect to have your choice of times. I was offered a single solitary choice of date and time and I jumped on it. On the other hand, my husband logged in to his account 3 minutes after I did and received a message saying that there were no available appointments! He logged out and tried again 3 more times waiting a few minutes in between until finally he was offered a single date/time 3 months away! He accepted it unwillingly as it was his only choice. 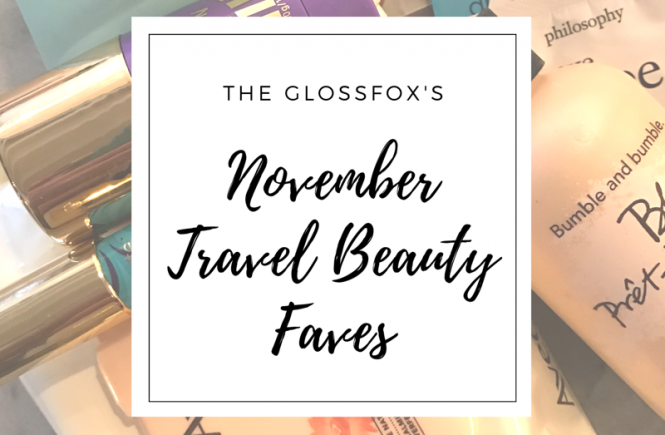 Knowing that I had my interview in a few days and my husband’s was 3 months out, I tried emailing the LAX Customs Office at: laxglobalentry@dhs.gov during their normal business hours to ask if they would perhaps make an exception and allow him to walk into an interview with me during my interview time. Do not bother calling as it goes straight to voicemail each time. Surprisingly, they replied to my email within 5 minutes but they denied the request saying that they do not take walk-ins at all in that office (NOTE: Each location is different so check the hours of operation and whether or not they take walk-ins. San Francisco Intl. Airport is an example of one of the locations that stays open very late and does accept walk-ins during certain hours. Sadly, for those of us in LA, there is no scheduling flexibility). Anyhow, it was back to drawing board for him at that point. He figured he would keep trying to log-in to change his appointment time and see if an earlier date came available. Over the next couple days, he received multiple “No more appointments available” notifications. Then, miraculously, 2 days before my interview, he logged in again and was offered a single interview date & time the day after mine and he nabbed it! Persistence is key here! For your in-person interview, do not forget to bring: your passport, your drivers license, copy of a utility bill if your address on your drivers license is not updated, copy of your Conditional Approval Letter, and any other documentation they notate on your Conditional Approval Letter. For me, I only needed to show up with my passport, drivers license and letter. 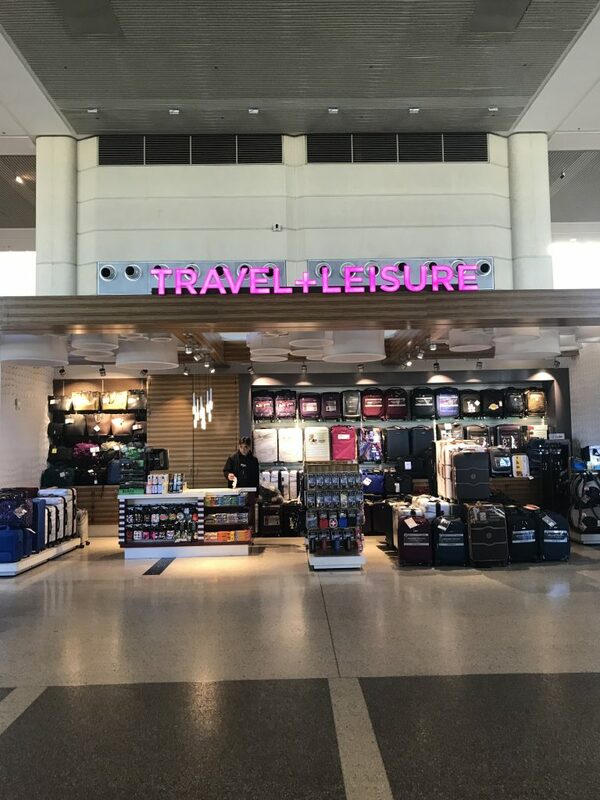 For those of you interviewing at LAX, I would strongly recommend you use the Arrivals level and park in the P3 parking structure, which is the closest to the Tom Bradley International Terminal where the Customs Office is located. Give yourself plenty of time to deal with the awful airport traffic. My interview was at 1:00 p.m. on a Monday so I left Downtown LA around 11:45 a.m. and arrived in the parking structure at 12:40 p.m. My husband’s interview was at 7:15 p.m. on a Tuesday so he left DTLA at 5:30 p.m. worried about rush hour traffic and actually made it to the Customs Office by 6:15 p.m. (NOTE: When he arrived at 6:15 p.m., there was a sign in front of the office that said they would return at 6:30 p.m. Several people started lining up for the interviews also. Promptly at 6:30 p.m., a Customs Officer came out with a clipboard and called names of people that I assume had 6:30 p.m. interview times. Being early, my husband went up and asked if he could be seen early since his interview wasn’t until 7:15 p.m. and they kindly waved him in. So I think they are somewhat flexible on the interview time as long as you have your interview set for that day. I did witness them adamantly refuse to take a walk-in saying that everything absolutely had to go through the online system. Unless you happen to be traveling through LAX and want to pop in just to see, I wouldn’t take a chance driving there without a set interview that day). From the P3 structure, walk across the street to Terminal 4 (International) and up the flight of stairs to your right. This will take you to Departures level entrance that is closest to Terminal 3. Once you walk in those doors into Terminal 4, turn left immediately and you will see the Customs Office tucked away on your left, adjacent to the Information Desk. Interview Questions: I was taken by surprise at how quick and minimal the interview was. The Customs Officer sat me down across from him at a desk in a room with about 6 other people also being interviewed by separate Customs Officers. I handed him my passport, drivers license and Conditional Approval Letter. Then he proceeded to ask me to confirm: my name, date of birth, and place of birth. He followed up with: “Have you traveled to Canada in the last 5 years?” to which I replied “No”. 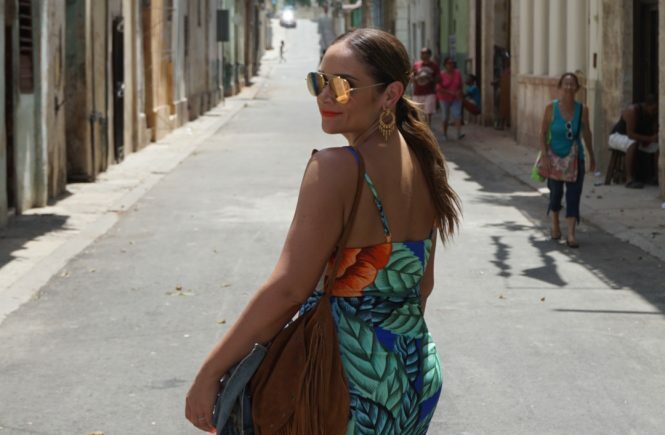 Lastly, he asked, “what was the purpose of your trip to Cuba?” I quickly answered “Cultural”. That was it! Immediately after my answer, he asked me to place my fingers on the fingerprint scan on the desk and took my picture. He then explained that I would be getting my Global Entry card in the mail in the next few weeks but that it is only necessary to use that card when walking across or driving across the border, not when flying in. 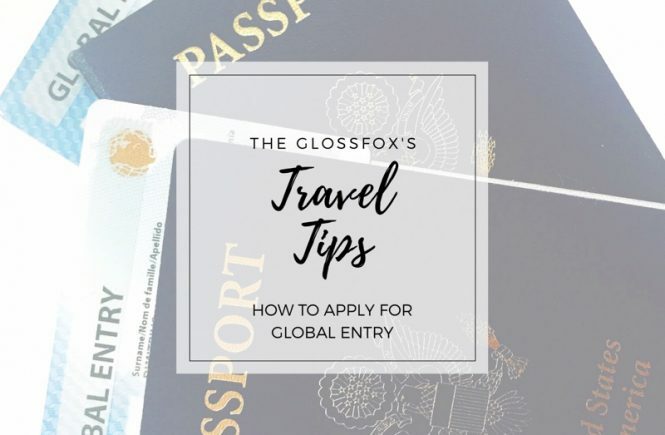 The Global Entry clearance is uploaded onto your passport account so you only need to bring your passport when flying back into the country. He asked if I had any questions and I was out the door in less than 3 minutes! That was it! My husband’s interviewer was having computer issues and apologized to him for the delay. After a few minutes of fidgeting with the computer, he basically said “You’re approved. Do you have any questions?” without a single question asked. His interview, or lack thereof, took a grand total of 5 minutes and that was only due to the Officer’s technical problems. Once you walk out of your interview approved, you are free to use Global Entry. Shortly thereafter that same day, you should receive another email notification from the GOES system entitled “PROD-GOES – Account Status Change”. Log into the GOES system and print your approval letter for your records. Log in to all of your Frequent Flier accounts and update your profile to reflect your new Known Traveler ID. Your Known Traveler # is listed on the top of your Conditional Approval Letter. 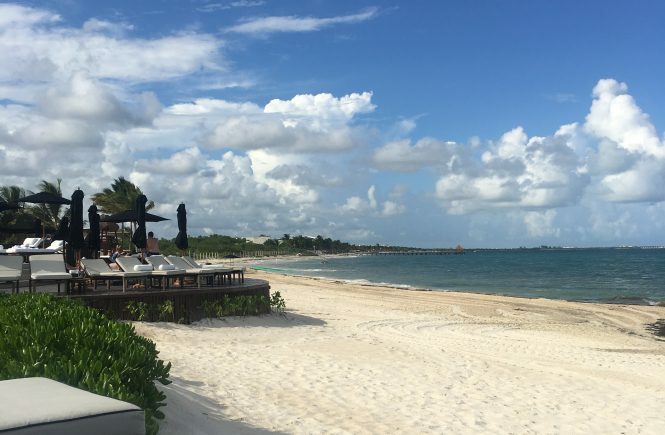 You will need to use this Known Traveler ID every time you book your flights. Entering this ID # when booking a flight is what will designate you as TSA Pre-Check. For airlines you do not have a Frequent Flier account with, you will need to manually enter in your Known Traveler ID each time you book an airline ticket. Wait for your Global Entry card in the mail. It took approximately 7 days to receive ours. Once it arrives, log back into the GOES system and click on “Activate Membership Card”. Registering the card will give you access to use the inbound NEXUS lanes at inbound seaports or when driving or walking across the border into the U.S. NOTE: It does not give you access to the NEXUS lanes going out of the U.S. into Canada. Click HERE for more detailed information on the use of Global Entry cards for NEXUS and SENTRI lanes. If your passport expires during the 5-year window that your Global Entry approval is good for, be sure to log into your GOES account and update your passport information. This will keep your Global Entry activated on your replacement passport. Alternatively, you can walk into one of the Customs Offices and have them code your new passport. Before your Global Entry expires, you should receive a reminder to renew your application. You can begin the renewal process online through your GOES account at any time in the year prior to expiration. Your application renewal may be approved online while some renewing applicants may be required to undergo another in-person interview. UPDATE: Although one may be approved for Global Entry, it is important to note that if you have EVER been fingerprinted for anything, even if acquitted of the charges, your fingerprints will show up in the system to Immigration Officers. 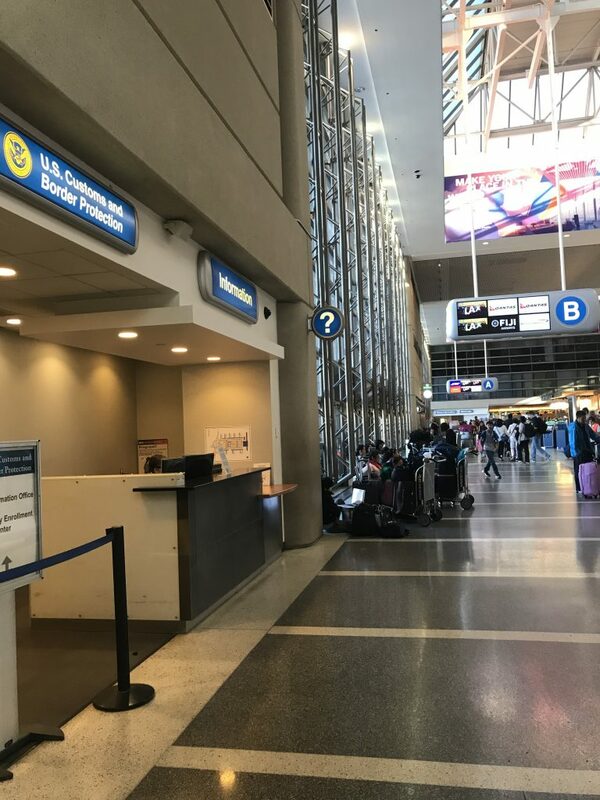 There is a good chance you may get an automatic red flag at the Global Entry kiosks upon re-entry into the U.S. prompting you to see an officer. This does not mean you will be denied entry or denied access to the Global Entry lanes. It just may require an extra step. The Immigration Officer will likely ask you something like “have you ever been arrested?” or “have you ever been fingerprinted?”… this would not be the time to lie. Be honest. They can see that you have been fingerprinted. According to one Immigration Officer I spoke with, while they can see that you have fingerprints in the system, it does not show the officer the reason why. It is simply part of their screening process. 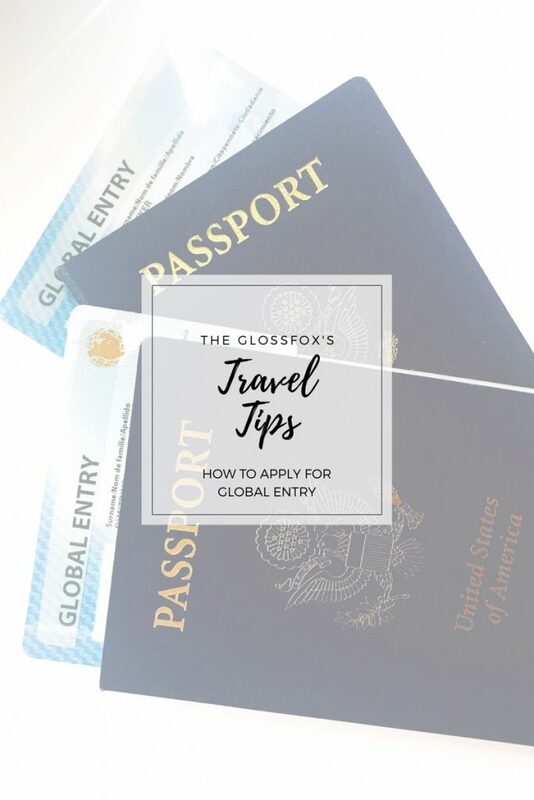 While inconvenient, it still is worth applying for the Global Entry card if you have been fingerprinted because it will save you a lot of time in Immigration lines even with the quick stop in addition to your expedited TSA access. Yeah the interview was elementary, it was mostly the officer telling me how to use the Global Entry kiosks when we enter the country. There was no wait, and they processed me and my 8-yo daughter simultaneously and in about 5 minutes!